(17/P54) TRENTON – Department of Environmental Protection Commissioner Bob Martin today announced that June 3, 2017 will be celebrated at National Trails Day in New Jersey and noted that outdoors events will be held at over 30 locations across the state on that day. As an initiative of the American Hiking Society, National Trails Day was first celebrated in 1993 to commemorate the enactment of the National Trails System Act in 1968. This annual event, now in its 24th year, is a day to recognize and promote the many benefits of trails, near and far. Whether you live in the city, suburb or country there is probably a trail or pathway close to you. Walking, jogging, cycling, horseback riding, backpacking, skiing, canoeing, kayaking and nature observation are just some of the trail activities that bring us to the outdoors. 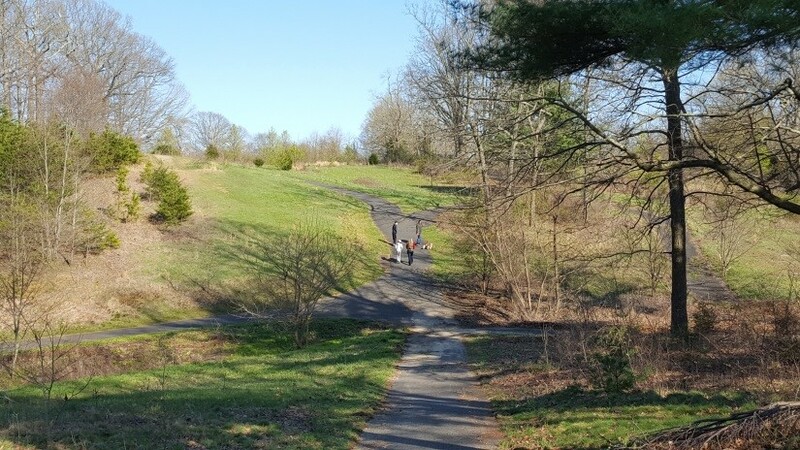 In addition to the annual celebration, the intent of Trails Day is to develop a public understanding of trails' importance and the perseverance required to establish, preserve and maintain them throughout the year. Trails provide health and fitness opportunities, outdoor classrooms for nature study, greenways for wildlife conservation, links with our historic past and economic boosts to regional tourism. National Trails Day helps to bring these efforts and values into focus so more of the public is introduced to this satisfying and affordable recreation. Here in New Jersey we are promoting public awareness of our trails and encouraging all residents to get outside, get active and experience the wonders of our abundant system of all types of trails. A full list of National Trails Day events, times and locations throughout the entire state are available at New Jersey Trails program website: www.trails.nj.gov.